“people buy people’ this is something James Edinborough learned at a young age from his families background in retail sales. 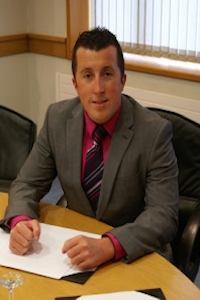 James started his sales career in retail management before changing direction to work in the service industry in the UK. After a number of years in the UK he returned to Ireland to work with a market leader in telecommunications sales where he progressed to the position of regional manager. He is motivated first and foremost by his relationship with his clients and his sales experience has taught him that strong intrapersonal skills are of major importance in a sales relationship between customer and client.